The Internet can be seductive and, at times, downright dangerous. It can also open the doors to wonderful information. We can make connections with important colleagues who would otherwise have been unknown. That happened to me a few years ago when I met Matt Glover through an online introduction made by Kathy Collins. That introduction led to a very important study-group visit to Reggio Emilia and to my special and valued friendship with Matt. This past month I had another introduction facilitated by Julie Diamond, a friend who is a wonderful educator, early childhood teacher, and artist. I became acquainted with Rebecca Burdett, a passionate first grade teacher from New Paltz, New York. Rebecca and I have been emailing back and forth, sharing our thoughts about the state of early childhood education. We haven’t yet had a face-to-face encounter but I’m sure that will happen someday. A few days ago Rebecca sent me a copy of a letter that she wrote to the new mayor of New York City, Bill DeBlasio. I was so impressed with what Rebecca had to say and I thought that I must share it with you. Create Pre-K classrooms with rich learning areas for block play, sand and water, art and music experiences, dramatic play corners and engaging libraries and you will recreate New York City, beginning with its youngest citizens. In New York City the Department of Education seems to have forgetten that kindergarten is an early childhood grade. When government officials and school administrators ignore this important point, they open doors to let in all sorts of inappropriate practices that can turn kindergarten into a clone of first grade. I watched highlights from your Inauguration this morning on Democracy Now. I was moved to tears when you began speaking about your new taxation system to provide for Universal Pre-k for all of New York City’s four year olds. As a veteran teacher, in my 30th year of work with young children, this is an issue near and dear to my heart. I am a graduate of Bank Street College of Education, and have dedicated much of my professional life to early childhood. I know that the steps you are currently taking to provide high quality educational opportunities for young children goes beyond rhetoric about educational reform, and strikes at the deep issues of racial equality, poverty and liberation that will either unite or divide our nation. You have taken action where other leaders merely presented visions of what could be. I cried, too, when President Obama was first Inaugurated in 2008. I saw him as a beacon of hope, especially in the area of education. A product of a dynamic, progressive education himself, he spoke of strengthening early childhood programs and undoing the damage done to our educational system by No Child Left Behind. And then, he bypassed the gifted guidance of Linda Darling Hammond, and appointed Arne Duncan. Sadly, tragically, a new beginning for young children has not come to pass. We have become a nation obsessed with high-stakes testing, despite 100 years of research that rejects this kind of assessment for young children! The four year olds in 2008, were last May’s 3rd grade class. They sat through federally mandated standardized testing that was as flawed as it was heartless. Race to the Top, with its underfunded and restrictive mandates has inflicted great damage, not just to the eight and nine year olds who sat through three days of grueling, incomprehensible hour and a half exams, but to early childhood programs, as well. Commissioner King lied when he said that young children were not being tested. The new APPR, a bargaining chip of the RTTT monies in NY, with its new scoring equations, required that my students’ work be given a standardized point value. Last year, my first grade students were subjected to test after test… if you can believe it, two tests in math and literacy, and two tests in Gym, in Library, in Music and in Art. These tests were added to our districts’ ongoing assessments. As a result, my first graders were subjected to 24 discrete assessments between May and June of last year. Of course, there were diagnostic pre-tests in September and October, and ongoing test preparations so the children would know how to “take” the state-mandated tests. You get the picture. Thankfully, these summative assessments have been reduced by half, due in large part to the enormous pushback by parents, teachers and administrators across the state. Commissioner King has experienced just the beginning of the fall out that will ultimately undo any benefits the Common Core had to offer. When you pit teachers against their students by tying test scores to teacher performance, you are toying with what is, I believe, a sacred relationship between teacher and student. It is completely clear that poverty, and a lack of educational opportunity is what creates diminished results, not ineffective teaching. We need to address homelessness, domestic hunger, unemployment and hopelessness if we want to improve education. We cannot vilify the very people who have worked against the odds, giving all to make a difference in the lives of their students. But I know I am preaching to the choir. You and I both know that assessing young children with standardized paper/pencil tasks is not developmentally appropriate or efficacious. I am writing to you to ask that you proceed into the world of Universal Pre-K with both eyes wide open to unscrupulous and uneducated test-makers, waiting to descend on the world of four year olds and inflict damage on what I know could be the greatest liberation of the spirit New York has ever experienced. Do not open the floodgates for-profit educational corporations and their canned, scripted curricula. Draw from the tremendous pool of talent your city affords. Seek the guidance of early childhood professionals at Bank Street College of Education, Teachers’ College and CUNY. New York City has a dynamic legacy of Progressive Education that can guide the education policies of a progressive administration such as your own. New York City was home to Caroline Pratt, inventor of the Unit Block, and long time Head of City and Country School. Lucy Sprague Mitchell, of the Bureau of Educational Experiments, (later Bank Street School of Education) shaped a generation of early childhood educators and theorists who have maintained a clear and dynamic vision of what young children need to thrive and take their place as citizens of a new democracy. Deborah Meier’s schools still provide a way of thinking about educational autonomy and the liberation of the spirit. City and Country and Bank Street School for Children are highly regarded schools, but what they offer should not be given only to the few who can afford their tuitions. We can look to them as models for what ALL children should enjoy…a high-quality, active education that sees the child for who she is, a person of great ability and talent, not someday, not after proving this on a test, but by the very nature of being. A happy, engaged and listened-to child, in a beautifully prepared environment, with a full belly and a time to explore, inquire and investigate is on a track to become fully realized. Create Pre-K classrooms with rich learning areas for block play, sand and water, art and music experiences, dramatic play corners and engaging libraries and you will recreate New York City, beginning with its youngest citizens. Keep student-teacher ratios low, as low as those in the private schools the elite in NY demand, and draw upon the idealistic and dedicated young educators who have cast their lot with education, despite the doom and gloom of our profession’s state. Look to mentors to help these young professionals. You’d be surprised how many recently retired teachers would love to give back by participating in a bold, new initiative such as yours. I’m not retired…far from it, but I would offer to you my services. I study children’s block play, and have presented across the country on the importance of play in early childhood programs. I would welcome the chance to help in your work, and to be a part of the effort to create a new vision of how we care for children. We must take back our country from those who would create a two-tiered system for the haves and have-nots. Private schools and charters for the fortunate, and overcrowded classrooms and substandard curricula for the rest. Food abundance for some, and cuts to food stamps for others. Enrichment programs for a few, and cuts to art, music and foreign languages for most. In the name of all that is good about democracy, this must end. I want to help. Put me to work. I want to help too. I’m ready to jump in and do all that I can to assist in Bill DeBlasio and our new school chancellor, Carmen Farina’s progressive agenda for the education of the children of New York! This entry was posted in Investigating Choice Time: Inquiry, Exploration, and Play and tagged Bill De Blasio, Carmen Farina, New York City, progressive agenda, Rebecca Burdett on January 5, 2014 by Renee. It’s good points that you make. I really think that there needs to be a lot of communication for parents to understand the important work going on in a developmentally responsive, inquiry-based classroom. A wonderful letter that I wish I could have written to our mayor in Los Angeles. So far our new mayor Garcetti has made choices that are contrary to what this letter is outlining. And I would also have liked to volunteer my efforts to help make education what it should be for students in Los Angeles. So far no one in power here is willing to take on the” rheeformists” who are destroying public education., with perhaps one or two exceptions. Interestingly, with reference to Nancy’s letter above, I find that it is more than low income parents who do not understand the importance of play in early education. Most politicians I have met have the same lack of understanding and it is difficult to persuade them of why that is so. I am so appreciative of what you are doing Renee to move this understanding forward. Thank you Joan. In terms of low-income families, I think that they might be fearful that if the children are playing they aren’t learning what they will need to take them out of poverty. They want the best for their children and pressure for what they perceive to be the best. 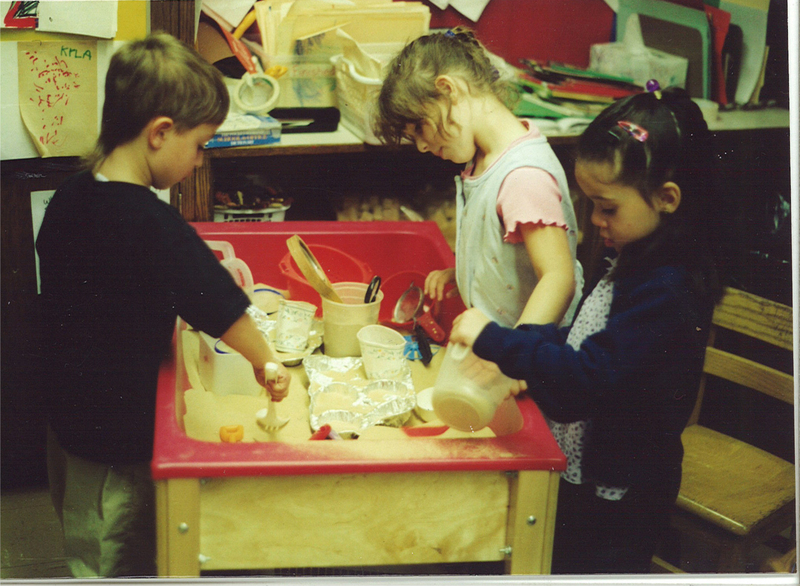 Their children need teachers who are smart enough to understand how to support and scaffold learning through play. The teachers also need to find ways to share this understanding with parents and to bring parents into the picture. It’s challenging but important. Perhaps I should write a post that deals with this issue. Thank you Rebecca, for your commitment to your students, and for embracing advocacy as the natural extension of your education of our society’s very young. Just as you, Renee, have done so beautifully with your work and this blog. It’s simply necessary to hear voices from within the classrooms, as we take in our earful of proposals and projections of thousands of new PreK seats. Like Rebecca and Renee, I’ve made it known to Bill deBlasio and his team that I’m also ready to jump in and help. So, is this the moment we’ve all been waiting for? Or . . . dare we even ask? It’s just so wrenching to recall all of our tears of joy in ’08 turning to tears of disillusionment (Oh, he’s a politician too!). I shutter to imagine some of the possible outcomes, as we wait to see deBlasio & Fariña take on the fabled NYC DOE. As Diane Ravitch said at her PS 15 talk in December (and Carmen was in the room), it’s not that deBlasio is our savior, but there are just so few we can trust these days, and he has proven himself worthy of hanging our hopes on (forgive me, but it was at least something to this effect). I pray that Ravitch, wise Brooklyn neighbor, will have the last word on this mayor, and that deBlasio will not find any excuse to disappoint us. The trouble now is the Funding, and once that Latte-a-day hoop has been jumped, this: How to really do a pre-K expansion, and do it well? That’s a lot of new hires, and that’s a lot of classrooms. At least we know that Carmen has more education experience than the last five chancellors combined. Will that be enough? We’re also looking to these six: Elba Montalvo, Josh Wallack, Sherry Cleary, Gail Nayowith, Nancy Kolben and Jennifer Jones Austin. We have every reason to believe that we’re in good hands. As Carmen’s Book of the Month reminds us: [We] Will Make Miracles! At this point, it’s fair to say we need nothing short of one of those. But I do believe in miracles. Do you? PS: I would love to see Rebecca present her research on children’s block play! There is so much to think about here. I was recently talking with my neighbor, who is president of the NYC Economic Development Fund, about the idea of so many new pre-kindergartens. He was concerned about finding space for all of them. One “idea” that he threw out was to have larger classes in the other grades with two teachers. I was totally horrified when I heard that. We do need to make sure that this doesn’t happen. I’m not expecting miracles. I know that change can’t happen overnight. I’m just really hoping for the best. And,of course, I’m available to help in any way that I can. Such commitment and passion and dedication. The title of this blog could not be more perfect. Tears of hope…but at least there is hope. And with all of this passion I do believe change in in the air. Tomasen, I am hoping that you’re correct. I’ve already been called in to meet with someone on the Pre-k transition team so that we could bounce around ideas. That’s a great start. Now, if I can convince them to also think about kindergarten and how it must be re-imagined. Hope!